Hi I’m Rob the Builder and I want to share with you some information of selection of materials & why they’re so important. Man has been building shelters for many thousands of years, so we have a pretty good idea of what can withstand the elements. Now, I’m not suggesting you need to build something that is going to last a thousand years, but I’m sure you would like peace of mind that your home is going to be standing in years to come. Although a lot of my custom built homes are quite contemporary, I’m always careful to select materials that are built for purpose, bearing in mind the continual advancements in technology. I make my selections within the parameters of products that I trust and which have been proven through the test of time. For example, I would use an aluminium door to the rear of a garage, almost always exposed to the maximum amount of weather. Aluminium doors are renowned for their stable capacity to withstand moisture as apposed timber that renowned for failing in a similar location. Cedar is a good example of a product that is natural and capable of withstanding moisture that the exterior requires. You are right to be thinking, doesn’t this still need maintaining? Yes it will fade and yes it still needs to be maintained. My question to you, before I installing such a product would be: does spending your holidays or employing someone annually to maintain this sound like you? If not, you are not alone and another product maybe more suitable for you. Building close to the coast employs its own set of challenges and yes, there are costs associated with this too. Be mindful if building in a coastal region as depending on the distance will determine how much additional costs in maintenance will impact on your budget. Face brick, for example, is an excellent product for longevity. However, unless you are building a federation or Georgian home, it’s really a product that has come out of vogue. Just as we have fashion trends, so we do in building materials and styles. 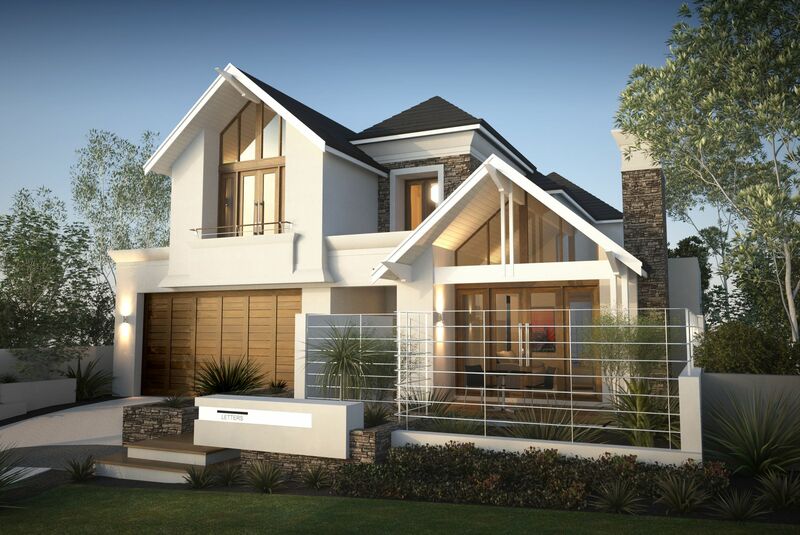 Hamptons are the flavour of the month and throughout the western suburbs especially, there have been numerous Hampton styles built in the past few years. Always be very careful in respect of what you are selecting; a Hampton style home is relatively timeless. Remember the garage sectional doors with the windows in them? These are fine if you are building a federation or Hampton style home. However, it seems to me that everyone has been installing them in every style that exists on the planet. To me this is called the fashion tragedy of the building design industry! If you have a stylish design in mind, throwing everything you have at it will not enhance the end result, but rather have the opposite effect. Just think of the concept of building a pizza! The “less is more” rule applies and layering too many contrasting toppings on your pizza can make it sickly. It’s the same principle for your house – choose a style and stick to the ‘rules’ for that style to get the best end result.